Here's another card for this weekend's Tonic release......I've used the beautiful Rose Deco frame die, but this time I've cut it into pieces and used as a border with some Cristal Stickles in the apertures. 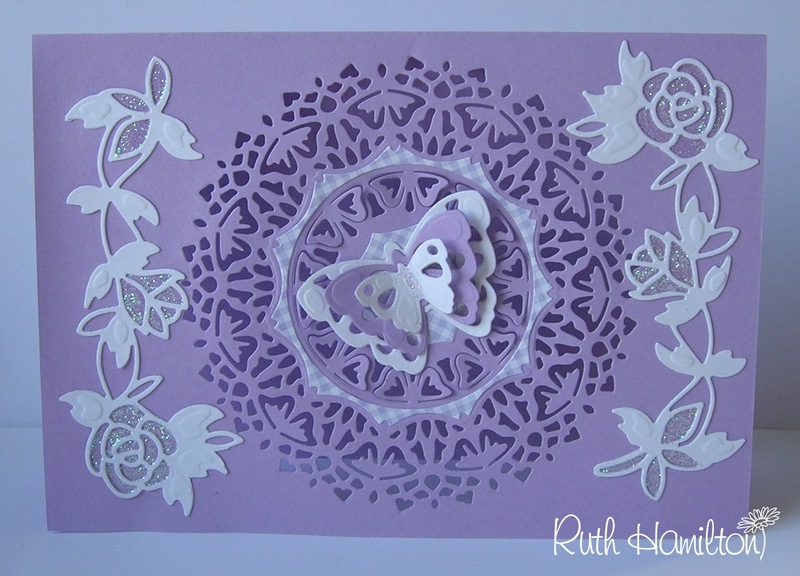 I've die cut the Butterfly Circe into the card (without using the outer edge) and added some layering Butterflies. The card is made from Papermill new lilac and white card with some lilac gingham paper.